Our Post Made pretty by Kate Bingaman Burt. 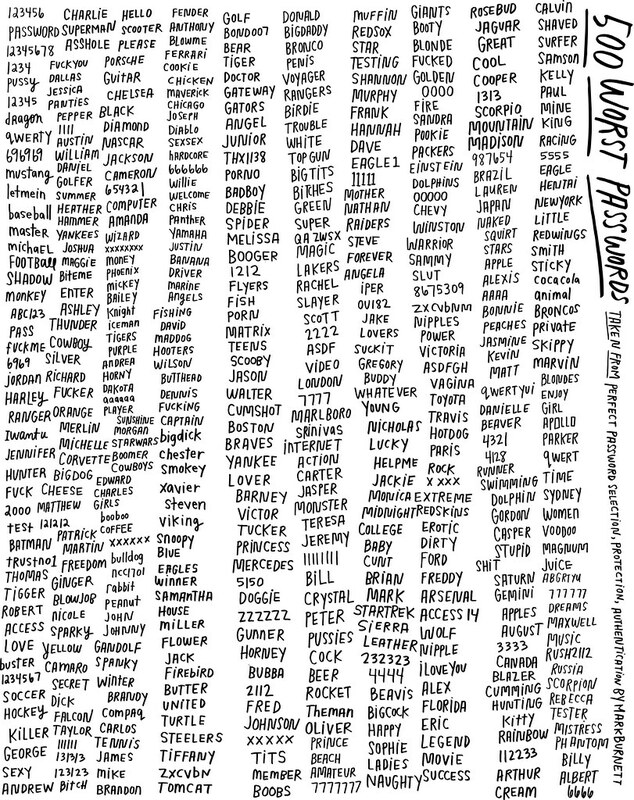 Subscribe to comments with RSS or TrackBack to ' Visual of the “Top 500 Worst Passwords” '. can you give me the txt forma ?